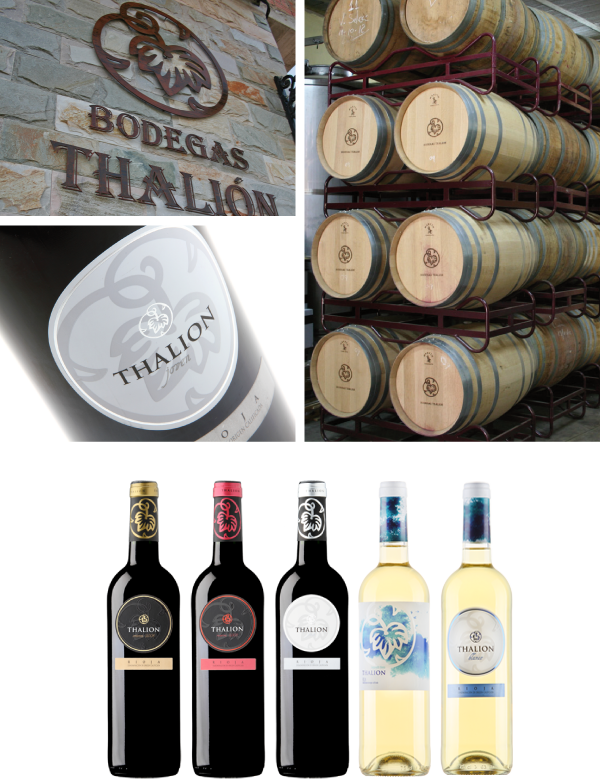 Bodegas Thalion come from familiar union and character in association with the roots of the traditional viticulture.At the same time,we apply new technologies in winemaking seeking the highest quality not only in grape care but also in the whole transformation process. It should be pointed out the wide range of soils of our 36 hectares of vineyard: sandy loams,stony,limestone and clay loams ,as well as the different microclimates. These vineyards are located in Uruñuela,Huercanos,Cenicero y Fuenmayor:cradles of grate wines.They are spread from Ebro River and Najerilla River at a altitude of 400 m. to a altitude of 800 m.They are influenced by a combination of atlantic and mediterranean climate and a huge temperature changes between day and night what optimize ripening. All these key elements allow us to select the best grapes before each grape harvest in an exacting way depending on the type of soil,water stress or even inclement weather.We seek the highest quality using to make our wines the grapes of our oldest vineyards(over 40 years old) whose yield is low(20% of the yield ruled by appellation of origin) but with an excelent quality. Tempranillo is the preferred variety ,although there are other varieties like Mazuelo which provide acidity and freshness;and Garnacha which has high quality due to its low yield caused by fruit set after flowering.Viura is the preferred variety in White wines and to a lesser extent Malvasia,Garnacha and Tempranillo as newness.Pilar Foncea as a founder of the winery want to offer the essence of the dedication and the effort that involve the tradition of the wine culture and its undiscovered nuances.